As usual, all gigs free unless stated. The Palps: Good, wholesome, ethical music for fans of intellectual lo-fi prog rock. The Palps’ music has been described by Crack magazine as ‘quietly monumental’ and ‘cinematic’. 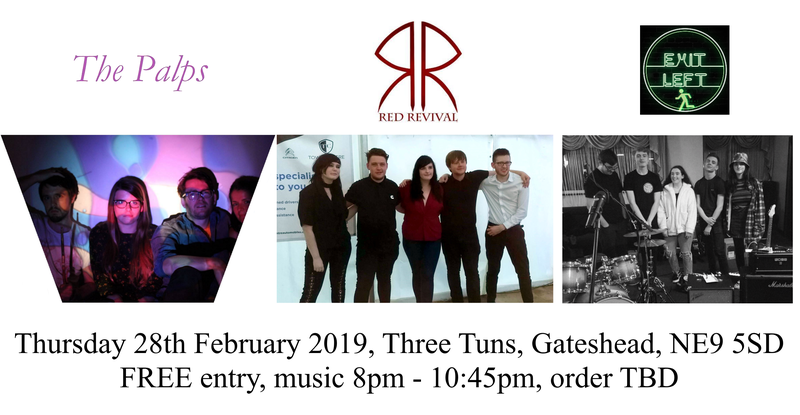 Red Revival: A hard-rock band with powerful female vocals and harmony lead guitarists performing some great classic and modern covers alongside originals. Exit Left: Alternative rock covers from the 2000s on, including Fall Out Boy, Stereophonics and Catfish and the Bottlemen. 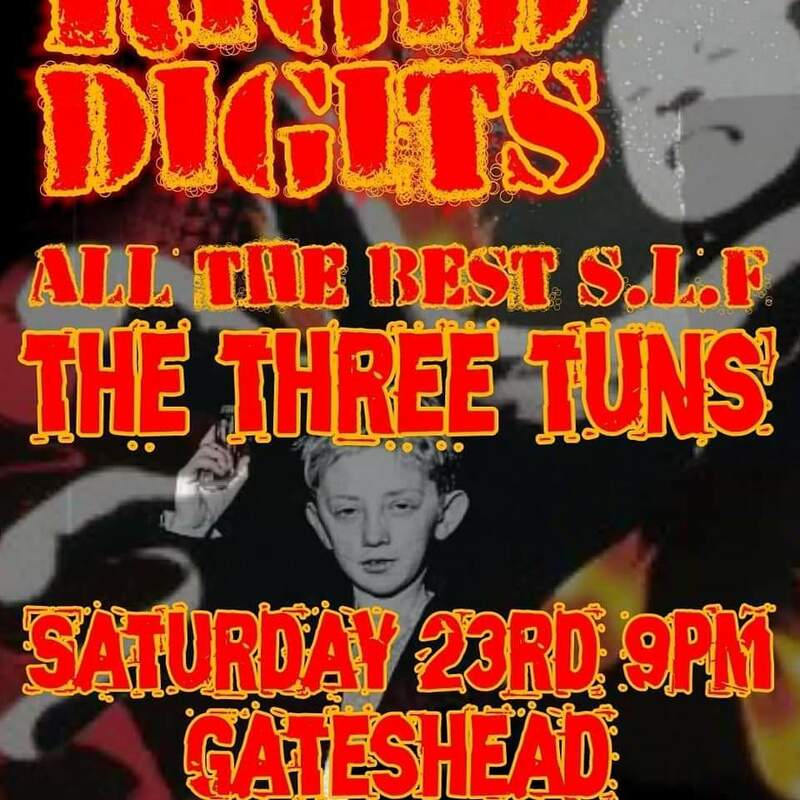 We have the amazing SLF tribute band, Rigid Digits, live in the Tuns this Saturday. And, remember, between 8 and 11, there’s a free pint or glass of wine with your name on it! 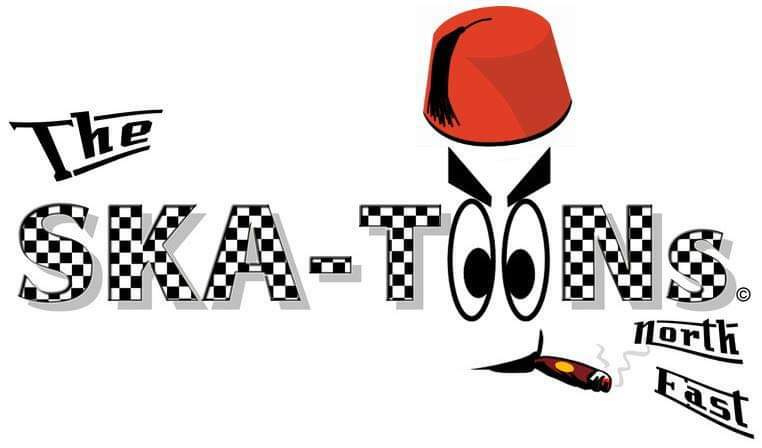 There’ll be a lovely party atmosphere in the Tuns tonight, with the Skatoons playing a fantastic range of Ska favourites. Just three quid on the door. 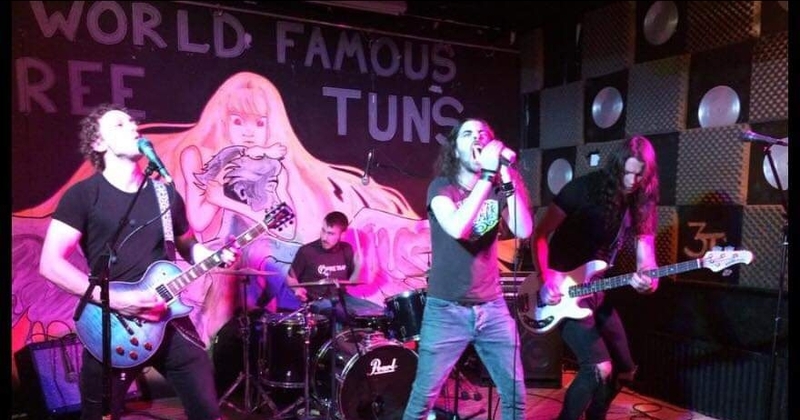 We want to continue to make the Tuns a huge success and we always welcome feedback from bands and customers. Here’s what Rushed had to say after their gig last week. Massive thank you to all, the team at THE THREE TUNS, SHERIFF HILL, GATESHEAD for our gig on Saturday16th Feb, especially Mark Riley the sound engineer who goes above and beyond to get the best sound possible – such a great venue to play – super friendly and awesome set-up. This week is an absolute cracker. Thursday 21st – 4 Band showcase including a very special guest appearance. 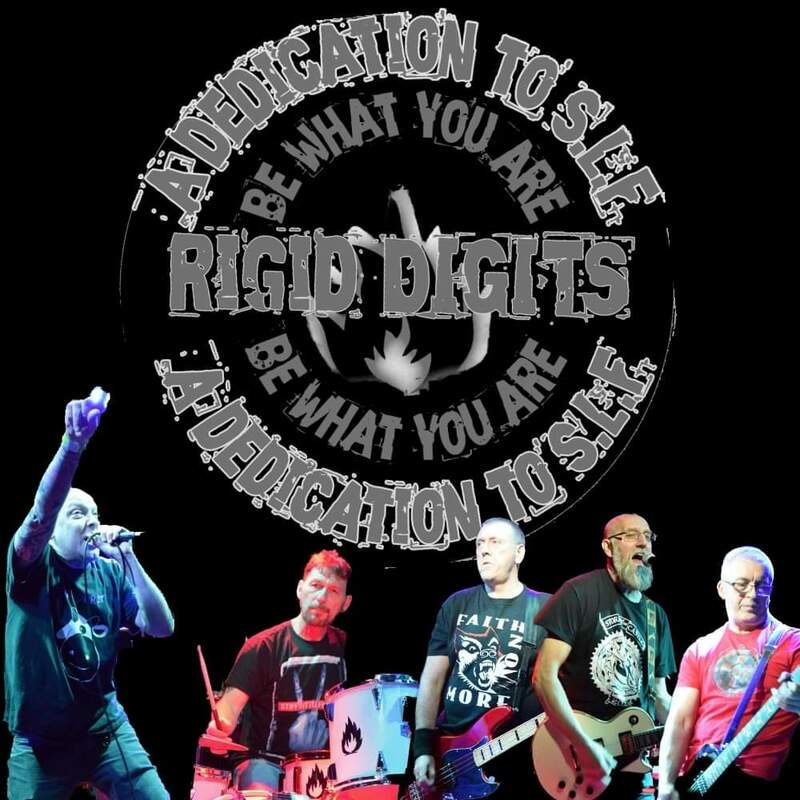 Saturday 23rd – RIGID DIGITS SLF Tribute. Free pint or glass of wine Saturday 8 til 11. Thursday 14th – 4 NEW LIVE BANDS. 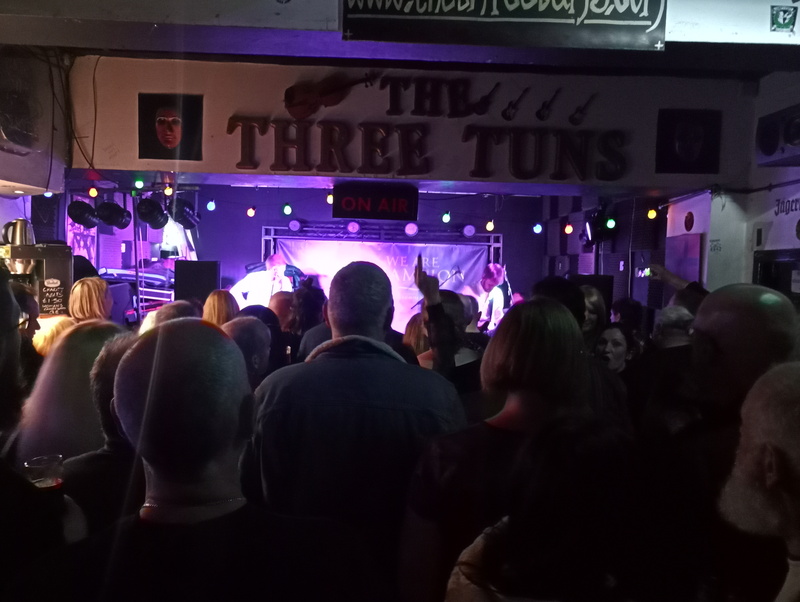 Friday 15th – BLACK ICE AC/DC, plus the Three Tuns’ monthly party. Free entry and a free pint for every customer. Saturday 16th – RUSHED The UK’s Premier Tribute to Rush, £4 Door. Tonight, Blackjack will be live in the Tuns. These guys shouldn’t be missed, they’ll do some great covers, but also some amazing original material. 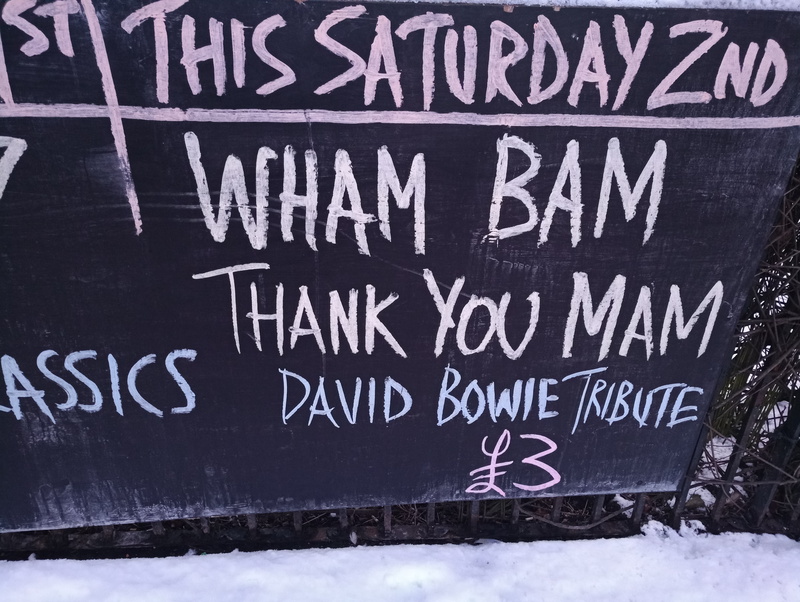 Tonight, Saturday 2nd, we have a great David Bowie tribute and, Wham Bam Thank You Mam. Well worth coming along to hear them play. The atmosphere in the Tuns last night was amazing; a great band and a lovely crowd.